That Screeching Noise You Hear? That would be me. Screaming. In anguish. I had the back done on the CPH. Done. As in ‘did the bind offs for the shoulders’ done. Then I realized that I had too many live stitches to put on a holder. 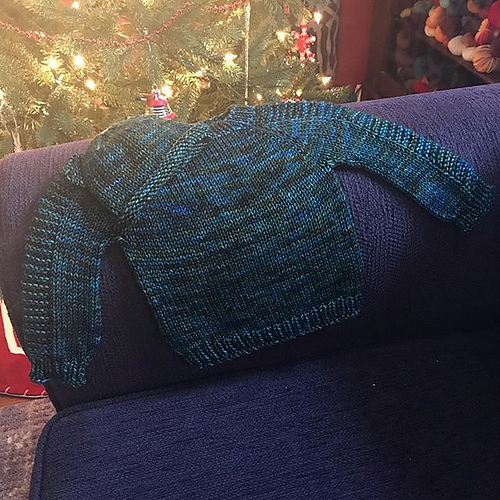 I looked at the beautiful, almost complete, evenly knit piece I had before me and had a head-banging-into-a-brick-wall moment. When I began the decreases for the arms? I only bound off 4 stitches to make the armhole, not 8. I had to rip back 9 inches of knitting. No, really. I did. 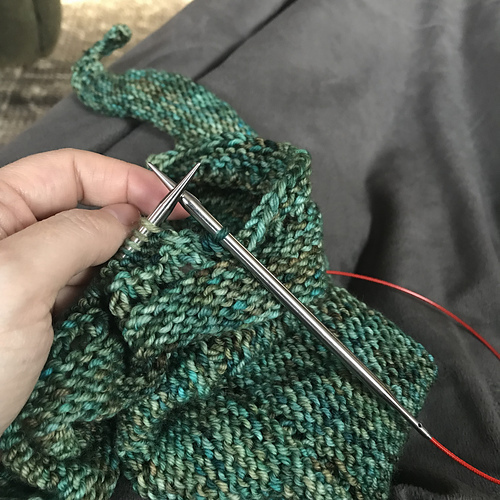 I tried to figure out some way to fix it without having to rip but I just couldn’t wrap my brain around making knit stitches disappear into thin air. I’m pretty sure it can’t be done. If it can? Don’t tell me. ← ECF – Fibery Again!